Third Eye awakening is the essential herbal supplement. 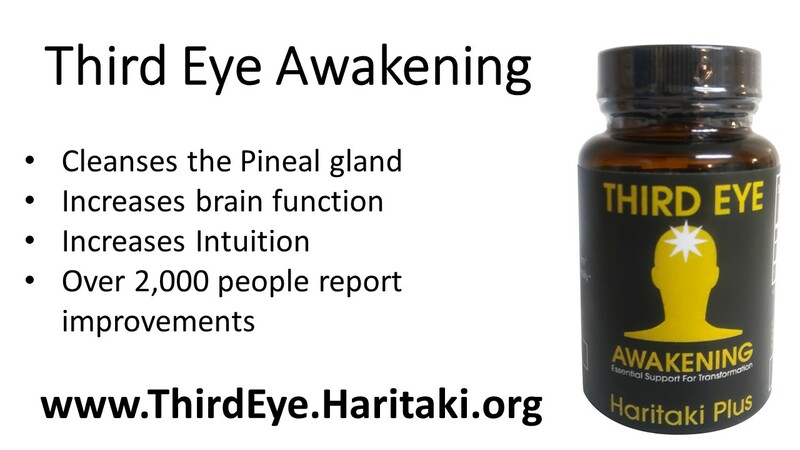 Third Eye Awakening contains organic Haritaki plus. 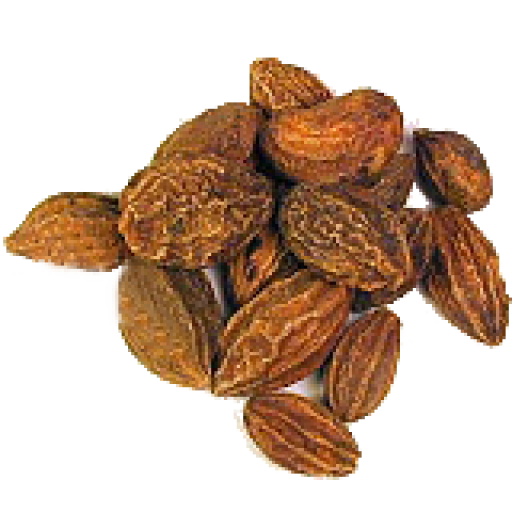 This herb is credited with assisting thousands of people to discover an increase in their intuition and third eye abilities, as well as brain function. The antibiotic, antifungal, antibacterial, anti-microbial properties of the herb Haritaki, known in Ayurveda as the King of Herbs, cleanse the intestinal tract. As bowel movements become more regular, complete, and toxins removed rapidly from your body, you will feel mental clarity, health and overall well-being. This cleansing aspect is critically important to experience third eye awakening. Rapid evacuation of stool first thing in the morning leaving you with feeling healthy, empty, clear, relaxed and relived. This indicates that you are taking the correct amount of Haritaki plus. Start with 1 capsule each evening and gradually increase the amount until your body attains the desired results, for example: too little Haritaki and your system is not being fully cleansed, too much and your extended time in the bathroom may be uncomfortable. Find the balance that works for you always remembering that the cleansing is directly related to mental clarity, third eye (pineal gland) cleansing and function. o Clairaudience- Hearing messages, instructions, tuning in to higher frequencies. What if you do not notice any changes? If you are doing all the steps as listed above, then give it some time to work. We are all different in our response to a new herb. This video is about the spiritual practices that help in opening the third eye, enjoy!